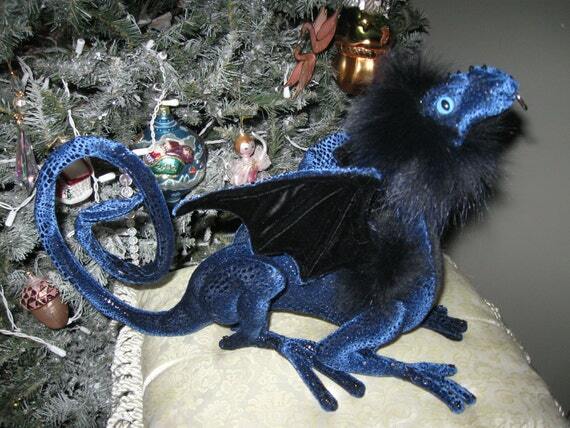 Just had someone ask about Reiver Dragons , so I thought I’d post some info on them…. When I first designed this little dragon it was called a Whippersnapper and was very hard to make, turning all those little fingers and toes took too much time. So the next try was slightly bigger and I used a lycra fabric- which made turning much easier. I re- named the design to Reaper dragons. But over the years, every one wanted to figure out how to get them to be shoulder dragons. But they were too short to really fit on a shoulder well. Recently I have been giving the Reapers some upgrades per special orders and I liked the looks so much I did some further tweaking of the the design, and came up with the Riever Dragon. 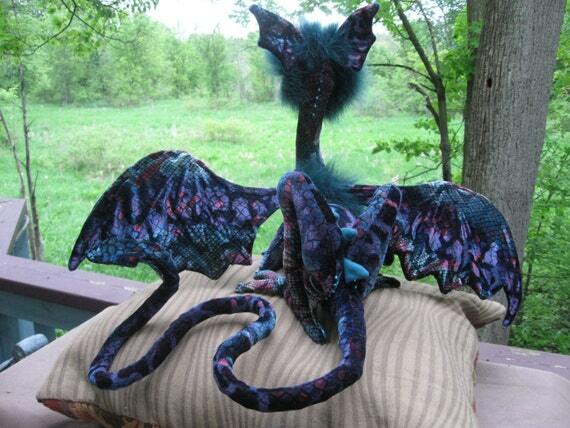 I have now retired the old Reaper Dragon Pattern and only make the Reiver Dragon. This gives me three sizes of shoulder dragons. Notice the body, and wings are a bigger and the tail is much longer. 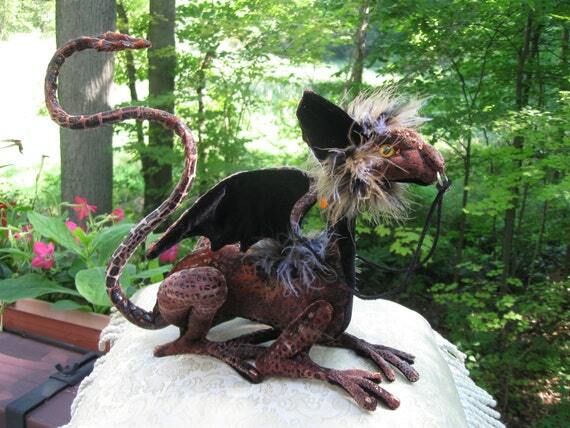 This is a new dragon design for 2014 – modified from the Reaper and Guardian designs I combined the best of both, it has a larger body than the Reaper, bigger fully wired wings, larger fan shaped ears, and has a 42 inch armature- measured from the head, along the back to the tip of the tail. 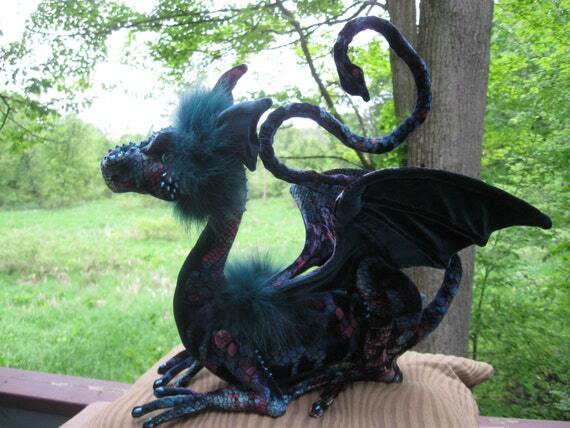 The longer tail enables the dragon to balance on a shoulder better. The arms, legs, fingers, toes and wings are wired and may be carefully arranged. Basically, it is now the smallest of the Percher shoulder dragons.